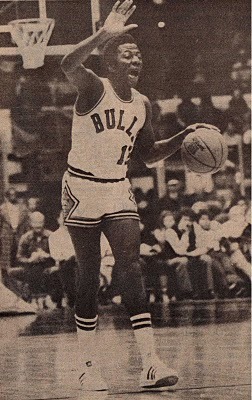 Drafted 75th overall (5th Round) in the 1975 NBA Draft by the Atlanta Hawks...played for two teams (Hawks and Chicago Bulls) in four NBA seasons...Averaged 16.6 points, 3.8 assists, 3.6 rebounds, and 2.0 steals per game while playing in 82 games in the 77-78 season for Chicago. 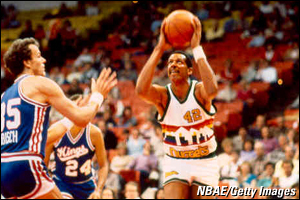 Drafted 40th overall (2nd Round) in the 1978 NBA Draft by the Golden State Warriors...played for five teams (Warriors, Utah Jazz, Dallas Mavericks, Portland TrailBlazers, and Denver Nuggets) in 14 NBA seasons...started 78 games at Center for the Nuggets in the 85-86 season, averaging 13.1 points, 7.8 rebounds, and 2.9 blocks per game...Made one NBA Finals appearance in 1990 as the TrailBlazers lost to the Detroit Pistons. Drafted 100th overall (5th Round) in the 1987 NBA Draft by the Denver Nuggets...played for five teams (Boston Celtics, Charlotte Hornets, New York Knicks, Miami Heat, and Atlanta Hawks) in four NBA seasons...appeared in 72 games for the Celtics in the 1988-89 season. Drafted 36th overall (2nd Round) in the 1988 NBA Draft by the Washington Bullets...played for two teams (Bullets and Miami Heat) in seven NBA seasons...averaged 11.5, 13.5, 13.0, and 13.2 points per game in his first four seasons with the Bullets...Ledell's final NBA season was in 97-98, playing for Washington in their first year known as the Wizards. 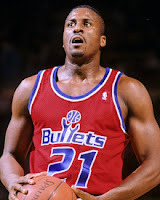 Signed as a Free Agent by the Washington Bullets in 1990...appeared in 14 games over three seasons for two teams (Philadelphia 76ers and Boston Celtics)...averaged 8.8 points per game in five appearances for the Celtics during the 1993-94 season. Drafted 23rd overall (1st Round) of the 1993 NBA Draft by the Seattle Supersonics...played for four teams (Sonics, Denver Nuggets, Minnesota Timberwolves, and Milwaukee Bucks) in 13 NBA seasons...Ervin had his two best seasons back-to-back. In 1996-97, his lone season in Denver, Ervin started 82 games at Center replacing Dikembe Mutombo. He averaged 7.1 points, 11.1 rebounds, and 2.8 blocks per game. 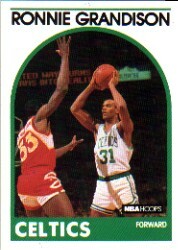 He led the NBA in defensive rebounds (682) and was 2nd in total rebounds (913.) 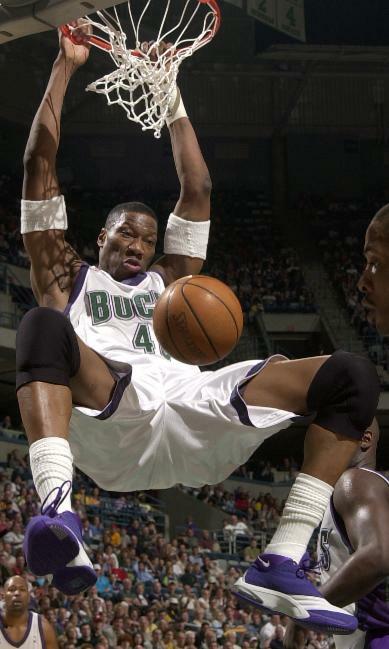 On April 19, 1997 Ervin scored 21 points and grabbed 26 rebounds in a win at Dallas. 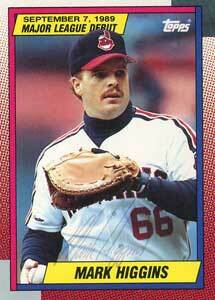 After being traded to Milwaukee for three players, Ervin started 81 games at Center in the 1997-98 season. He averaged 8.0 points, 8.5 rebounds, and 2.0 blocks per game. On January 21, 1998 Ervin recorded his second 20-20 game scoring 20 points and grabbing 21 rebounds against the LA Clippers...Made one NBA Finals appearance in 1996 as the Sonics lost to the Chicago Bulls. 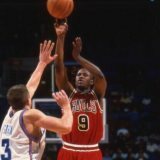 Signed as a Free Agent by the Chicago Bulls in 1999...appeared in 25 games for the Bulls in the 1999-2000 season, averaging 7.6 points, 2.6 assists, and 2.0 rebounds per game. Drafted 55th overall (2nd Round) of the 1995 NBA Draft by the Golden State Warriors...Appeared in just one NBA game, playing four minutes for the Charlotte Hornets on January 27, 1998. 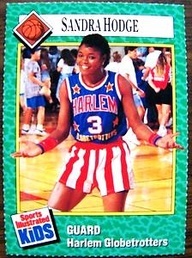 Scored 2,860 points, averaging 26.7 points per game, in her Buc-kettes career...post WBL and pre WNBA, Sandra played professionally overseas before signing with the Harlem Globetrotters in 1987. Hodge was the fourth woman ever signed by the club, and to this day is one of only nine female Trotters. 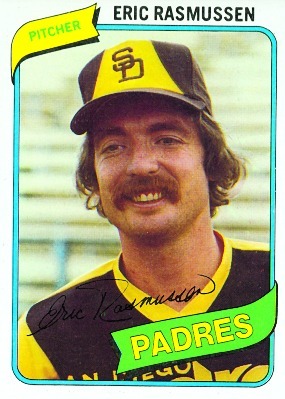 Drafted in the 32nd Round of the 1973 MLB Amateur Draft by the St Louis Cardinals...pitched for three teams (Cardinals, San Diego Padres, and Kansas City Royals) in eight MLB seasons...Made 34 starts in 1977 (Cardinals) and 1978 (Cardinals and Padres)...was an August addition to the 1982 World Champion Cardinals, making eight appearances in September. Drafted in the 3rd Round of the 1977 MLB Amateur Draft by the Minnesota Twins...pitched for two teams (Twins and New York Yankees) in six MLB seasons...As a rookie for the Twins in 1978 he started 37 games, completing 14 of them, allowing just 117 earned runs. 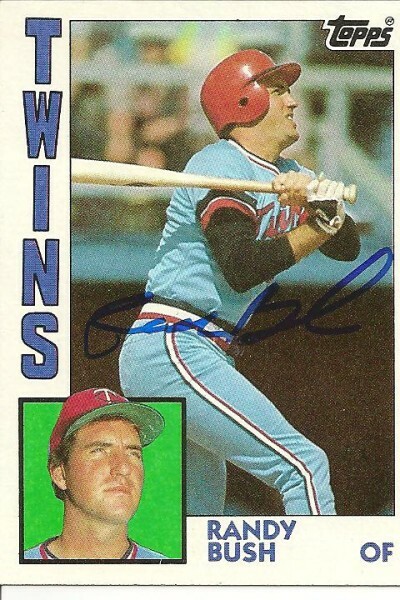 Drafted in the 2nd Round of the 1979 MLB Amateur Draft by the Minnesota Twins...played 12 MLB seasons, all in Minnesota...won two World Series Championships (1987, 1991) with the Twins...Had 103 hits and 14 home runs in both the 1988 and 1989 seasons. Drafted in the 1st Round of the 1984 MLB Amateur Draft (June Secondary) by the Cleveland Indians...Recorded one hit and scored one run in six games for the Indians in September of the 1989 season...Interestingly, after Higgins' brief stint with the Indians, he finished his baseball career playing for the Denver Zephyrs in 1990. The Zephyrs would move to New Orleans two years later. 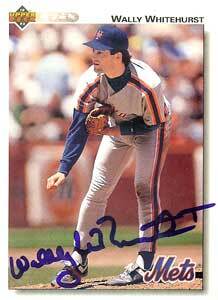 Drafted in the 3rd Round of the 1985 MLB Amateur Draft by the Oakland Athletics...pitched for three teams (New York Mets, San Diego Padres, New York Yankees) in seven MLB seasons...started 20 games for the Mets in 1991 and 19 games for the Padres in 1993...posted a WAR of 2.6 in 93. 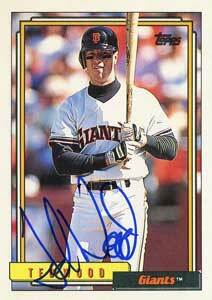 Drafted in the 1st Round (29th overall) of the 1988 MLB Amateur Draft by the San Francisco Giants...played for two teams (Giants and Montreal Expos) over three MLB seasons. 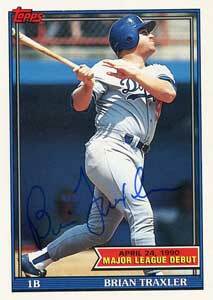 Drafted in the 16th Round of the 1988 MLB Amateur Draft by the Los Angeles Dodgers...recorded one hit, a double, appearing in nine games for the Dodgers in April and May of the 1990 season. 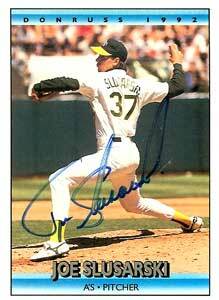 Drafted in the 2nd Round of the 1988 MLB Amateur Draft by the Oakland Athletics...pitched for four teams (Athletics, Milwaukee Brewers, Houston Astros, and Atlanta Braves) in seven MLB seasons...Started 23 games, winning 10, for the A's over his first two MLB seasons (91-92)...made 54 appearances for the Astros in 2000, posting a WAR of 1.5. 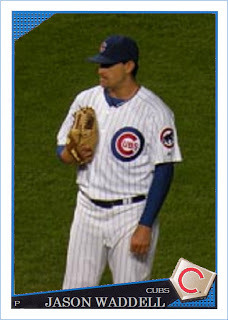 Drafted in the 8th Round of the 2001 MLB Amateur Draft by the San Francisco Giants...made three relief appearances for the Chicago Cubs in May and June of the 2009 season. 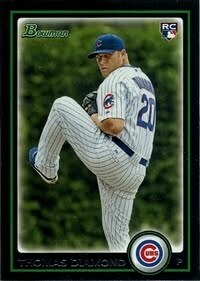 Drafted in the 1st Round (10th overall) of the 2004 MLB Amateur Draft by the Texas Rangers...made 16 appearances, 3 starts, for the Chicago Cubs in August and September of the 2010 season...Struck out 10 Milwaukee Brewers in six innings in his MLB Debut. 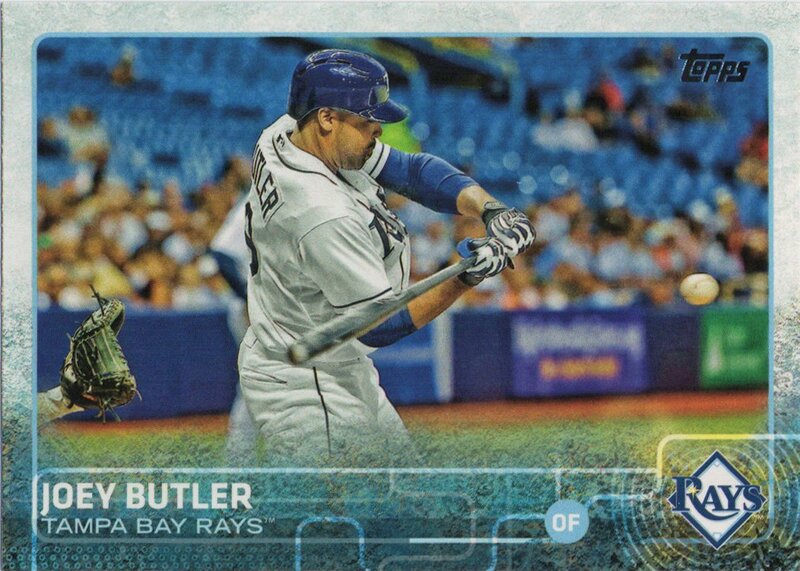 Drafted in the 2nd Round of the 2008 MLB Amateur Draft by the Kansas City Royals...made his MLB Debut in 2011 for the Royals...appeared in 125 games over four seasons with the Royals...hit .267 with 10 homers and 80 RBI over two seasons (2015-16) as a member of the Los Angeles Angels of Anaheim...appeared in seven games for the Baltimore Orioles in 2017...currently a member of the Miami Marlins organization. 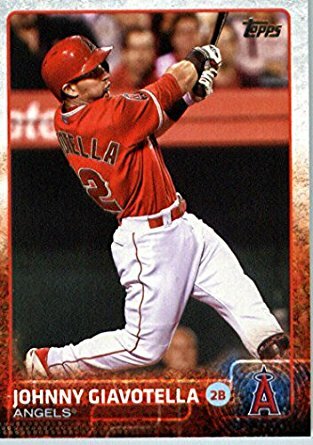 Drafted in the 15th Round of the 2008 MLB Amateur Draft by the Texas Rangers...made his MLB Debut with the Rangers on August 7, 2013...appeared in eight games for the Rangers in 2013...appeared in six games for the St. Louis Cardinals in 2014...hit .276 with eight homers and 30 RBI in 88 games for the Tampa Bay Rays in 2015...currently an MLB free agent after spending the last two seasons in the Indians and Nationals organizations.